Suzanne came to me for guidance in a time of change. Her only son had recently left the nest, she had had a string of unsuccessful dating relationships, she was bored with her job, and she felt generally stuck. 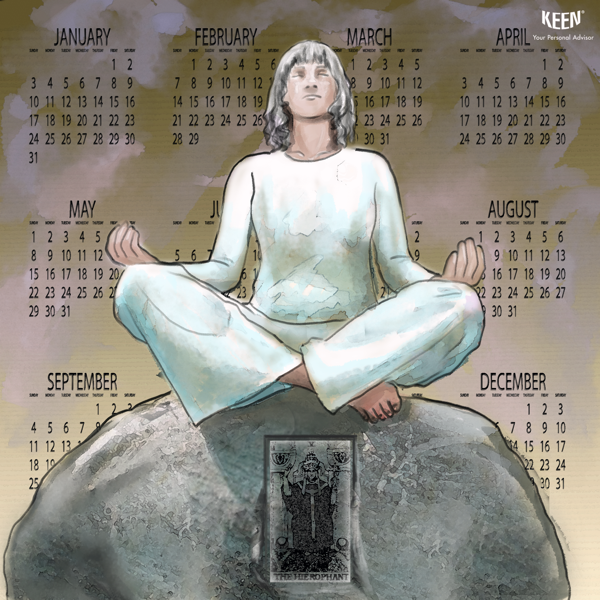 She had her own Tarot deck and liked to work with it, so I suggested that we take a look at her Year card. This would give her one tool to focus on for a whole year. It would also allow her to find wisdom from her own intuition and guidance, which can be very empowering. 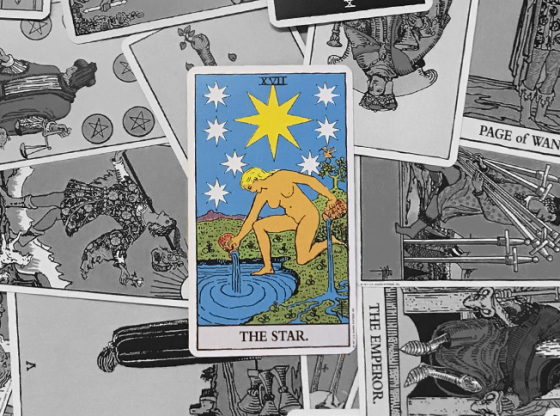 If you want to build a relationship with the Tarot, this is one great way to do it. First, add the month and date of your birth to the current year. Suzanne was born August 6. So: 8+6+2016=2030; 2+3=5 (you always keep the highest number up to 22—The Fool). If the number is 23 or higher, just keep breaking down and adding the separate digits. 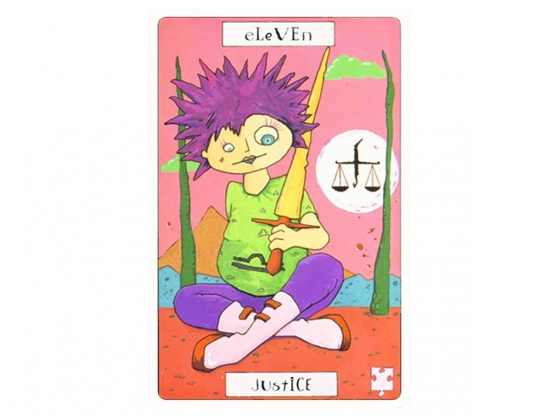 Then take your number and find the corresponding card in the Major Arcana of the Tarot deck. 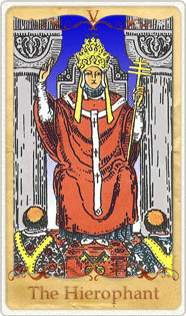 Suzanne’s card was The Hierophant (5). 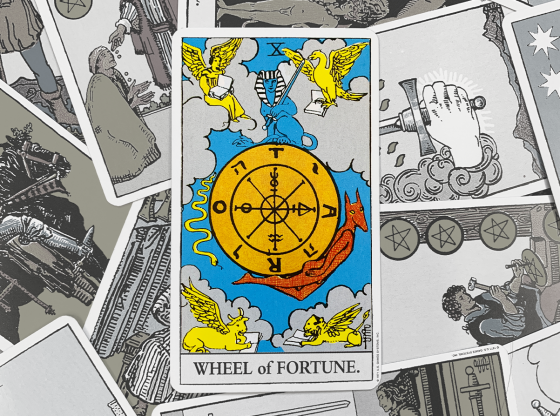 If you have your own Tarot deck, the number will be on the card. Suzanne was initially disappointed when she learned The Hierophant was her card. “ I never understand this card,” she said. You may feel this way too if you are new to working with the Tarot — or even if you aren’t! 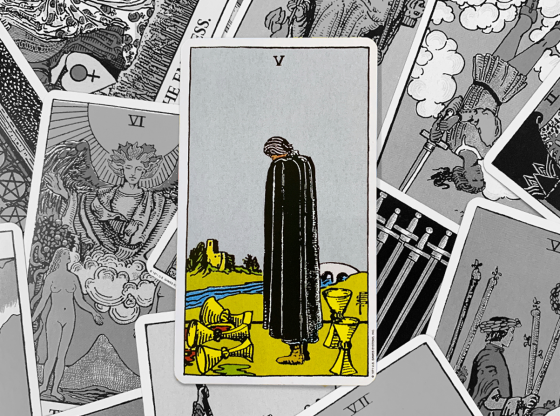 Even experienced Tarot users have certain archetypes that present a challenge. The practice of working with a year card actually helps to create an easy and intuitive relationship with the cards. A visualization exercise helped Suzanne begin to create an intuitive bridge with her card, and it can be a helpful exercise for you, too. 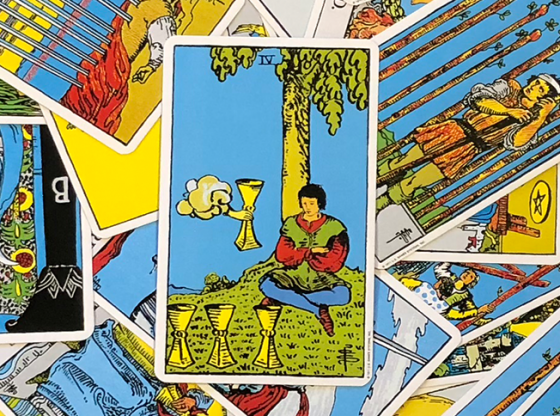 Because the Tarot works with the intuitive, subconscious mind, choosing one of the many images on the card allowed Suzanne’s right brain and intuition to bring her answers. 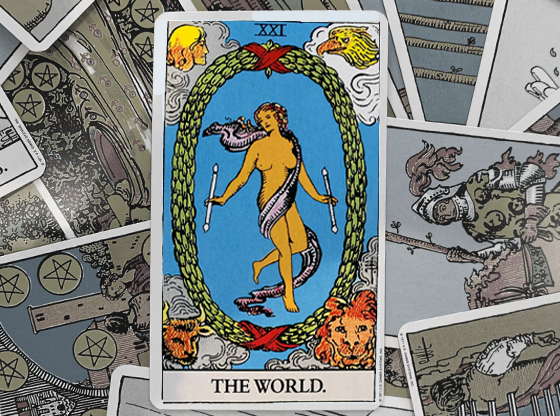 (For more on how the Tarot works, read this article, or here for interpretations.) She wrote down the first answer that came to her—even if it didn’t make sense. We asked a series of questions, such as, “What do you have to teach me about my love life? How to deal with missing my son so much? With finding new work?” In each case, she wrote down her first thought. We moved quickly through the questions, so she didn’t have time to censor her first intuitive response. You can do this exercise yourself. It may be helpful to record questions on your phone or another device, leaving a few moments in between each to write down your answers. You may feel silly or self-conscious with this exercise—Suzanne did!—but give it a try in the spirit of playfulness. You will be surprised how your intuition is activated by the images on your card. This is the point of the Tarot after all. It doesn’t matter if you don’t believe you have intuition or don’t believe in guidance beyond yourself—we all respond subconsciously to images. You can think of this process as communication from your own vast store of subconscious knowledge. You can work with each of the images on your card individually, and you can work with the card as a whole. 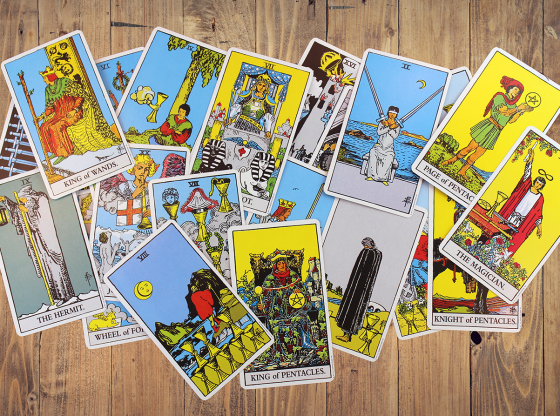 It is helpful to have a Tarot dictionary (I also like Jana Riley’s Tarot Dictionary and Compendium) to work with multiple traditional meanings of a card, as well as with the guidance that you get. Let’s take one of Suzanne’s issues and see how this process helped her. Her dating experiences were frustrating, and she knew she tended toward codependency. Her impressions from the image on her card told her: “You have more to offer than you think you do! Stop aiming so low. 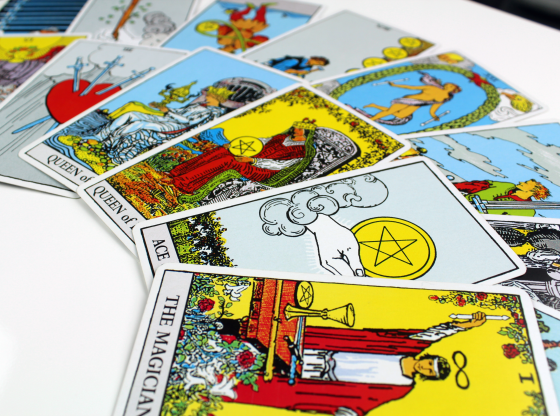 You are being asked to develop more aspects of your personality this year, including spirituality and self-reliance.” The traditional meanings of The Hierophant include spiritual teachers, inner mastery, self-transformation through learning. Suzanne felt guided by this combination of information to seek out a spiritual community and a teacher. She began attending classes held by a local group that included practical lessons for creating conscious relationships. While in the process of this self-discovery, Suzanne met a man what was also working on himself. They began a relationship and are in the process of being with each other while staying independent. As issues within the relationship come up, Suzanne returns to The Hierophant and asks for guidance. She, like the archetype itself, is becoming her own teacher. Spending time with one card is fascinating. Always remember to keep it fun. As you work with the images in your card, you will deepen your relationship to that archetype, which will inform spreads with that card. 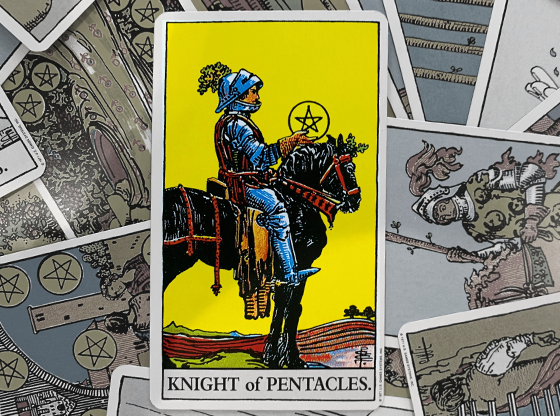 You can also find the cards for previous years, and use the symbology on the card plus your hindsight to integrate past lessons. 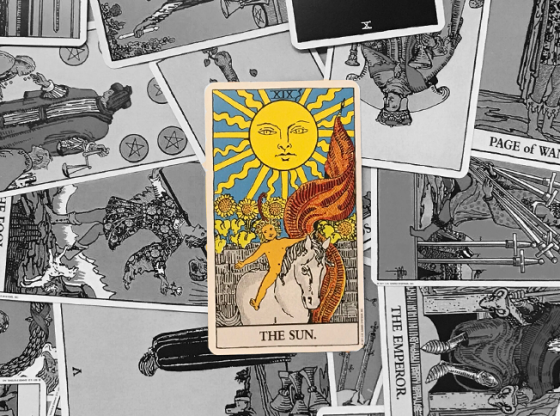 I encourage clients to find their year card each January (though any time of the year is fine too) and to spend the year getting to know the fabulous resource of the Tarot. For help finding and working with your year card, contact an advisor on Keen today.